Expert hair care can now be made available at your doorstep. Buy egg oil online without any hassles. 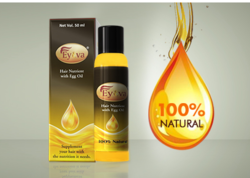 Eyova has a convenient online ordering process that lets you buy egg yolk oil easily. So, just buy egg yolk oil and have a happy hair day, every day. We are lead manufacturer and supplier of wide range of Natural Hair Nutrients. This innovative product is rich in natural herbal extracts. This maintains hair thickness by reduces premature hair loss. It stimulates the scalp and promotes growth of new hair. Royal Hair Nourishment Amrut Amla Hair Oil is a unique formulation specially prepared for hair nourishment. 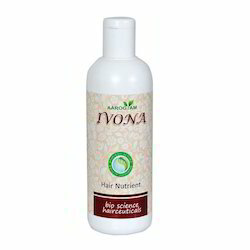 It has been made superior with combination of three hair nutrient oils, Amla and cow milk, It promotes hair-growth and stimulates hair follicle to grow new hair. This oil strengthens hair and prevents hair-fall and reduces baldness and thinning of hair on regular use. Vitamin Therapy Hair Nutriment Rs. 360 | 100g Vitamin A has antioxidant properties to prevent hair damage. Vitamin D is a precursor to the hair growth cycle and it prevents hair loss. Vitamin E stimulates hair growth, prevents premature hair greying, makes it lustrous & repairs split ends. Type Of Packing: Single &12Nos. Good Luck Bussiness Solution Pvt. Ltd.